Some things just go together - peanut butter and jelly, birds and bees, fish and chips, bacon and eggs (well, bacon and just about anything). You get the idea. So we decided to put together weekly product bundles at fabulous prices. 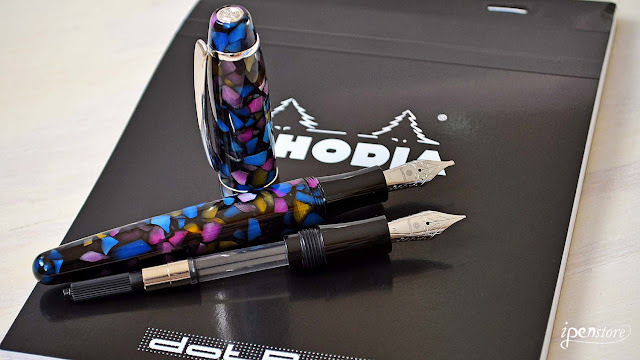 This week we've bundled our Rosetta Coronado Mosaic fountain pen in a medium nib with a Rosetta Quick Change replacement nib/neck/converter set with a 1.1 mm italic stub nib and a Rhodia Dot Pad. What comes in this week's bundle? Rhodia Dot Pad- 6" x 8-1/4"
Rosetta Coronado is a classic oversized 1920s design fountain pen with a beautiful mosaic finish and chrome trim. The mosaic finish is crafted from Italian acrylic resins. 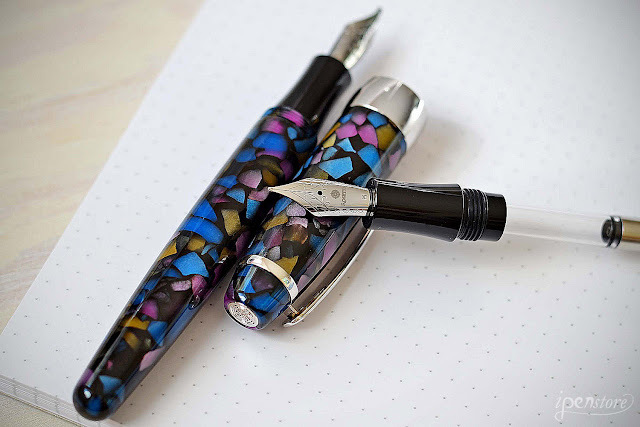 Each pen is a unique work of art- the pattern of translucent amber, rose, blue and opaque black will vary from pen to pen. 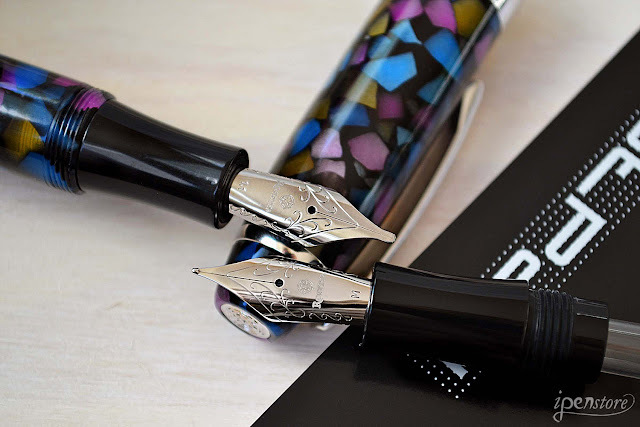 The Rosetta Quick Change Set (TM) allows you to quickly change your nib size and ink color without having to stop to flush out your pen! 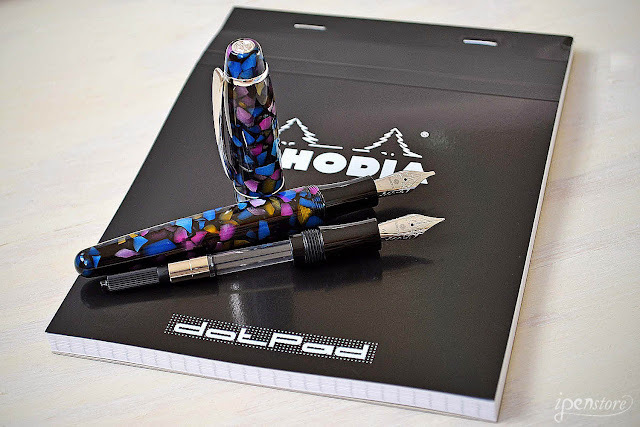 This bundle comes with two nibs - a medium nib and the 1.1 mm italic point stainless steel #6 nib - made for Rosetta by JoWo of Germany. The Rhodia Dot pad is a classic favorite. 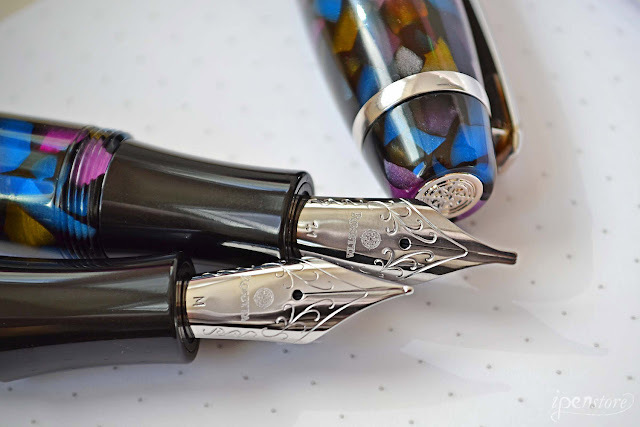 It's perfect for use with fountain pens with it's smooth, bright white finish. MSRP for the set is $165 and we have it priced at just $89.99 this week. Click on any image to purchase this bundle deal.